Located in downtown Baltimore, Fayette Health and Rehabilitation Center is a for-profit facility with 156 certified beds. It offers short-term recovery and rehabilitation services, as well as long-term care. Owned and operated by CommuniCare, an Ohio-based chain with eight Maryland nursing homes. Communicare has had trouble with some of its nursing homes in Maryland. While flawed, Fayette is clearly one of the better ones. It is common for nursing facilities to have average or good Medicare scores for their short-stay residents and more mixed or negative scores for their long-term residents. That seems logical enough since long-stay residents are apt to have more serious health issues. Fayette Health and Rehab goes against this grain. Based on its latest Medicare metrics, this facility's strongest appeal is its excellent record of service to long-staying residents - which no doubt helped Fayette earn a reasonably good overall 4-star rating from Medicare. Our nursing home attorneys focus on Baltimore not just because our offices are located her. The primary reason Baltimore nursing home are first on our radar is because the nursing homes are often just terrible. But the nursing homes in the immediate area near Fayette Health are pretty decent. Caton Manor is really the only extremely poorly ranked facility in the immediate area. FutureCare Sandtown-Winchester: Based on the Medicare ratings, this Baltimore facility, and Fayette are nearly a match: the same overall rating and health inspection rating; Fayette one notch better on staffing, this FutureCare facility one star better on quality measures. This FutureCare facility is just a mile down N. Carey Street to Fayette Health. Maryland Baptist Aged Home: This facility's Medicare ratings are very closely comparable to Fayette's: both of these Baltimore facilities got overall 4-star ratings, and three stars for their health inspections. Fayette scored better on staffing, but Maryland Baptist beat Fayette on quality measures, five stars to 4. It is just a 1.9-mile drive, mostly down Edmonson Avenue, to Fayette Health. Caton Manor: With an overall Medicare rating of 1 star, this Baltimore facility poses little competition to Fayette - or most anyone else. Caton Manor also got a 1-star rating for its health inspection and a below-average two stars for quality measures. On staffing, this facility was rated average. It is 2.5 miles from Fayette Health, most down Wilkins Avenue. Transitional Care Services at Mercy Medical Center: This Baltimore facility is located very close to the Maria Health Care Center, and it almost bids to compete with its 5-star neighbor - getting an overall 5-star Medicare rating and five stars for staffing. The mystery is how Transitional managed to get a bleak 2-star rating for quality measures, even though it is connected to Mercy Hospital. For quality measures, Fayette got four stars. It is 1.9 miles from Fayette, mostly heading east on W. Mulberry Street. St. Elizabeth Rehabilitation & Nursing Center: Like Fayette, St. Elizabeth got a 3-star (average) Medicare rating for its health inspection, but in the other three main Medicare categories (including its overall rating), this Baltimore facility scored below (even much below) Fayette. The facility is three miles away, just a few exits down going south on Route 95. Maria Health Care Center, Inc.: This facility is not only one of the best in Baltimore: with 5-star Medicare ratings right across the board, Maria Health Care is one of the best in Maryland and the entire United States. Fayette got above-average ratings but still came not even close to matching this facility's "perfect" scores. It is nearly nine miles from Fayette. With respect to short-stay residents, Fayette's record leaves much to be desired. Fayette was excellent - in fact, perfect - on prevention of pressure ulcers, or bed sores, with zero percent of short-stay residents having this condition. Short-stayers here also were less likely than average to report having moderate to severe pain. But Fayette had a below-average rate of successful discharges. Former residents were more likely than average to require rehospitalization; and they were almost twice as likely to make a visit to the ER (20.2 percent, versus 10.2 percent for Maryland, 12.1 percent nationally). Short-termers at Fayette were less than half as likely as the Maryland and U.S. averages to experience improvement in functionality, and they were three times as likely as the state and U.S. averages to be on antipsychotic meds. Fayette appears to have earned a 4-star rating for quality measures thanks to its care of long-term residents. This facility outscored the Maryland and U.S. averages in 12 of 15 categories - and in 7 of these categories, it was much better than the state and national averages. Fayette was significantly ahead of the Maryland and U.S. averages on maintaining its long-stay residents' continence; on giving them fewer antianxiety meds; on helping these residents maintain their mobility, their independence in daily activities, and healthy weight levels. Fayette's long-stayers also had fewer problems with pressure ulcers than the Maryland and U.S. averages. Also contributing to Fayette's overall 4-star Medicare rating was its 4-star score for staffing (and within that score, four stars for RN staffing). Fayette came close to matching the Maryland and U.S. averages for time spent by LPNs and LVNs (licensed practical nurses, licensed vocational nurses) and certified nursing assistants. But it was much lower on (quite expensive) physical therapist time: a mere 2 minutes daily per resident, versus 9 minutes for the Maryland average, 6 minutes nationally. In terms of total nursing time per resident per day, Fayette was a bit below the Maryland and U.S. averages. Given that most nursing homes are woefully understaffed, this is not a good mark on Fayette's resume. Fayette got a 3-star rating in its last standard Medicare health inspection, even though its total of 7 deficiencies bested the Maryland average (11.4 deficiencies) and slightly edged the national average (7.1 deficiencies). This facility's most serious negative score came in a category that doesn't usually raise big issues: fire safety. Fayette's last fire safety inspection turned up eight deficiencies: twice the Maryland average (4.0) and more than twice the U.S. average (3.4). Notably, Fayette had three deficiencies in its automatic sprinkler systems - which a nursing facility obviously must keep in good working order. Fire safety is a marker for how much the nursing home sweats the small stuff. You really want a nursing home that can do manage the details because that is what good patient care is all about. Fayette had a fire inspection in September 2015, which identified eight fire safety deficiencies -- including three for the sprinkler systems. The sprinkler system deficiencies had the potential to harm "many" residents. There is no arguing that point. With a total resident population of 146 at the last official count, Fayette could have put a great many at risk by failing to keep its automatic sprinkler systems functional. We trust that Fayette has addressed this basic but essential maintenance task - and averted a tragedy. In addition to the fire safety deficiencies, Fayette had a Medicare complaint inspection on January 5, 2016. This inspection was for a single complaint in which it was found that Fayette did not settle a resident's account within the standard 30 days of the resident's death. Not related to patient safety but, again, you worry about the continued markers for lack of attention to details. Still, that one complaint does not strike us as highly serious. However, the Skilled Nursing Facilities website says that Fayette also had two complaint inspections in 2014 and another in July, 2015 - to investigate a total of 15 complaints. Medicare does not mention these prior complaint inspections in its most current report about Fayette. Has your loved one has been badly harmed or unexpectedly passed away in a Baltimore nursing home or assisted living facility? 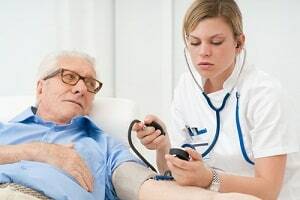 You need an experienced nursing home attorney to help you determine whether you may be entitled to money damages for the harms and losses you have been forced to endure. Call our lawyers today at 800-553-8082 or get a free online case evaluation. We will fight for you.